71% of new players recommend this casino 45 new players chose this casino today! NetBet Casino Review &amp; Bonus Codes: €200 + 10 Free Spins! One of the things that makes this online casino so great is its welcome package for new players, which includes a generous deposit match bonus as well as free spins to play the newest video slot games! NetBet Casino Bonus: 100% Deposit Match & 10 Free Spins! NetBet Casino gives all CasinoSmash players a very warm welcome with an exclusive 100% deposit bonus up to €200 plus 10 Free Spins to play some of the best video slots on the market. In order to get this lucrative welcome, all you have to do is to open an account on NetBet Casino through CasinoSmash and complete your first deposit using the bonus code NBWELCOME. This will make the 100% bonus up to €200 immediately available. 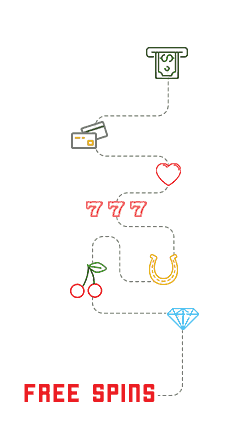 To unlock the bonus and get the money right into your account, simply head to the Bonus Section of the casino's client and accept the pending bonus. The free spins can be used to try out any of the magnificent Age of Gods Slots! This excellent casino room operates on an outstanding software created by iSoft Bet and features an impressive list of progressive jackpots which we will get into below! If progressive jackpots and casino tables games are what you look for in an online casino, NetBet is the site for you. With plenty of big titles such as Super Multitime Progressive, Cosmic Fortune and Mega Moolah. You can also find plenty of other hit games such as Gonzo's Quest, Rainbow Riches, Rango and Jungle Jim if you're after some more adventurous reels to seek your fortune in! You can also find a great selection of card games and roulette tables at NetBet, not to mention some pretty impressive video poker titles such as Jacks or Better, Joker Poker and Deuces Wild. You can enjoy various blackjack variations as well as casino war, baccarat and several types of poker including Oasis Pro Poker, Texas Hold'em, Three Card Poker and more! There is no need to download any software to play at NetBet. All games run perfectly on your internet browser through instant play, meaning that the only step you need to take to get in on the action is to create an account! NetBet has a fully functional mobile platform available to all portable devices. All you need to do is visit NetBet through your mobile or tablet browser, log in, and continue playing as you would at home! There are many deposit options on NetBet Casino. You can choose the most convenient one for you.